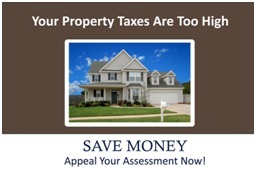 HAYWARD APPRAISERS specializes in property tax assessment appeals on residential property in Alameda County that meets the high standard of USPAP, the Uniform Standards of Professional Appraisal Practice. We can often have your property taxes reduced far more than the cost of the appraisal. This will save you money for many years to come on a residential property that is over-assessed. We do thorough and honest appraisals that are rarely disputed by the local assessor. Our chief appraiser has had experience as a property tax appeal specialist for more than 25 years.